Peru is a magical country, there’s no way to describe all the highlights that this destination evolves; you’ll see history, delicious food in the worldwide recognized Peruvian Gastronomy, culture, adventure and more. It’s a country with over 5000 years of history, one of the most diverse nations on the planet and a destination that holds infinite vacation destinations. Our Peru travel guide has all tourist information on the country and its main attractions to help you know a bit more before your trip. 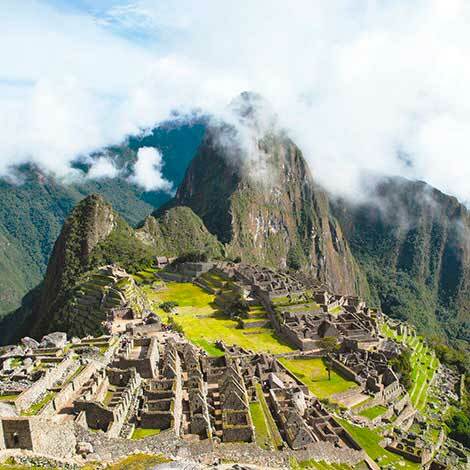 Our Travel Guide offers all manner of tourist information on Peru, organized by the most important cities. You’ll find maps and photos, as well as information about protected natural areas and historical sites, archaeology, nature & biodiversity, living cultures, adventure and outdoor activities, weather information, restaurants, and hotels. Peru is the third largest country is South America, after Brazil and Argentina, with 1,285,216 square kilometers of territory. It is situated in the central western part of the subcontinent, in the Pacific coast, between 81º19´35” and 68º30´11” longitude (west) and 0º01´48” and 18º21´05” latitude (south). The Andes Mountains cross the country from north to south, forming diverse geographical regions at varying altitudes and with distinct climates and creating 84 of the 115 life zones known to exist on the planet. The most common way to define Peru in geographical terms is to divide it into three regions: the coastal desert strip, the rugged mountain ranges dotted with small highland valleys, and the Amazon basin with its lowland forests located to the east of the Andes. However, since 1941 the Pan-American Institute of Geography and History has recognized eight geographical regions within Peruvian territory: chala, or the coastal strip to an altitude of 500 meters; yunga, which is composed of valleys and ravines situated between 500 and 2300 meters on the western slopes of the Andes (maritime yunga) and between 1000 and 2,300 meters on both sides of the mountains; jalca or suni, between 4,100 meters and 4,800 meters (the ideal altitude for llamas, alpacas, vicuñas and guanacos, as well as the majestic condor); janca, above 4,800 meters; rupa rupa, or high jungle, on the eastern slopes of the Andes between 1000 and 400 meters; and, finally, omagua, or the lowland forest of the Amazon basin, ranging in altitude from 400 to 80 meters. 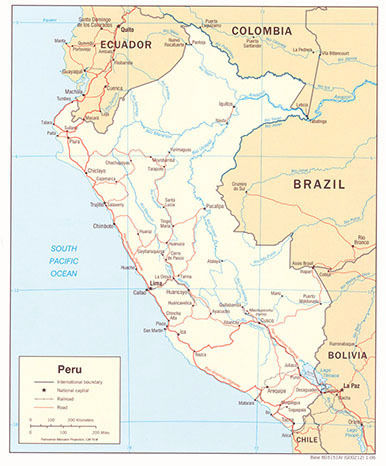 Peru shares borders with the following countries: to the north, Ecuador (1,529 kilometers); Colombia to the northeast (1,506 kilometers); Brazil (2,822 kilometers) to the east; Bolivia to the southeast (1,047 kilometers); and Chile to the south (169 kilometers). The Peruvian Pacific coast is 3,080 kilometers long. Politically, the country is divides into 24 departments and the constitutional province of Callao. The departments are divided into a total of 194 provinces, which are subdivided into 1,828 districts. According to June 2011 figures, Peru has a population of 29,797,694, while the annual rate of population growth has been calculated at 1.60%. 50.4% of the country´s inhabitants are women, while 72.3% of Peruvians live in urban areas, 80% speak Spanish as a first language and 20% are speakers of Quechua, Aymara and other indigenous languages. 30.3% of the population lives below the poverty line, of which 13.7% live in extreme poverty. The average annual family income is US$ 5,000, placing the country in the medium to low range of global income levels. 54.6% of the population lives on the coast, 32.0% in the Andes and 13.4% in the Amazon regions. Life expectancy in Peru is 71 years for men and 74 years for women, while at least 1,300,000 people over the age of fifteen are illiterate. 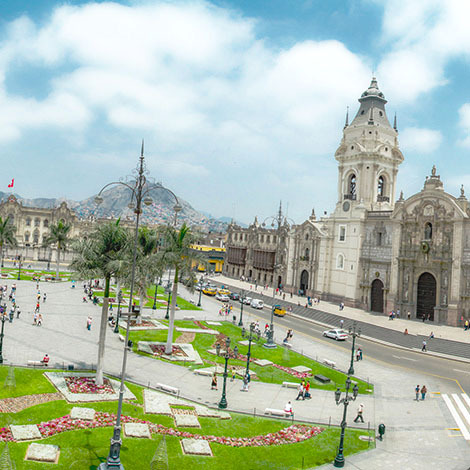 Lima, the capital of Peru, is home to 8,472,935 inhabitants. Peru is presidential republic with three branches of government: the executive branch, led by the president of the republic, who is elected for a five-year period; the legislative branch, which is composed of a single chamber of 120 representatives who are also elected for five years; and the judicial branch, which is comprised of the Supreme Court, the Higher Court and the Court of First Instance. The territory currently occupied by Peru has been inhabited for the past 20,000 years, since the first hunter gatherers left the evidence of their passing at Piquimachay, Chivateros, Lauricocha and other sites. Subsequently, primitive societies developed from 6000 to 3000 BC, until some of them managed to master agricultural techniques and the domestication of animals, enabling them to establish sedentary communities by around 3000 BC (at Caral, Kotosh, Huaca Prieta). Around 1000 BC the great ancient civilizations emerged which would influence the subsequent development of other important cultures; the Chavin culture, which developed in the highlands of the present-day department of Ancash, is now considered the “mother culture” of Peru. 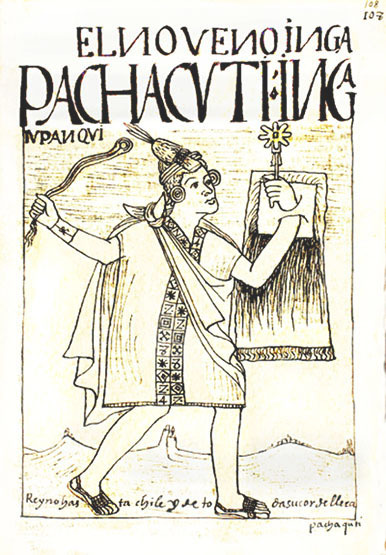 Chavin was followed by other cultures: Paracas, Moche, Nasca, Tiahuanaco, Wari, Chimu (to name the most important) and, finally the great Inca state. The incas established their capital in Cusco and from there they conquered vast kingdoms until their territory covered much of South America. 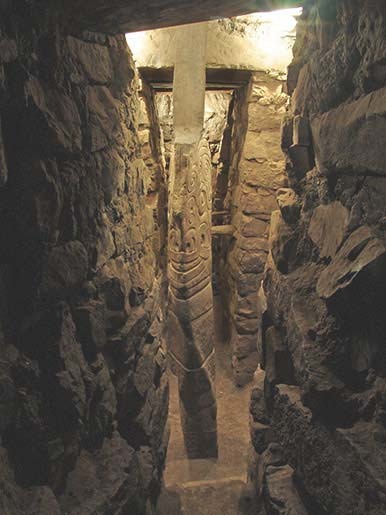 Their state was known as Tahuantinsuyo, and it achieved a remarkable level of sophistication in terms of social and political development through the Incas´ knowledge of architecture, astronomy and agriculture. The Spanish conquest of Tahuantinsuyo brought down one of the most important of the world´s ancient civilization and ended the autochthonous development of the people of this part of the South American continent, which had emerged devoid of westerns or Asian influence. The conquest was achieved by a handful of soldiers whose superior military strategy and weapons meant that the Incas were no match for them in battle. In addition, they were fortunate to arrive in Peru while the Inca state was immersed in a great civil war between the forces of two Inca brothers, Huascar and Atahualpa, who fought for the throne. At the same time, a number of local dynasties took advantage of the situation to throw off Inca oppression by siding with the Spanish. The trauma of the conquest, which destroyed the Andean world view and produced a deep collective wound among indigenous inhabitants, also led to the decimation of the population. In 1532, the Inca state had some 12 million inhabitants. Less than 100 years later, in 1626, the native population had fallen to 600,000. Many of these deaths were caused by epidemics of European diseases such as small pox and influenza, while many died in the mining operations of the colonial period. The conquest lasted for a few decades, during which flashpoints of insurgency were extinguished in the most brutal fashion, culminating in the Vilcabamba episode, when Tupac Amaru, the last of the Incas, was captured between in 1572. A civil war also erupted between the two leaders of the Spanish conquest: Pizarro and Almagro. The Viceroyalty of New Castile was finally created in 1542, and it would later come to be known as the Viceroyalty of Peru. After the fall of the Incas in 1572, Viceroy Toledo organizes the viceroyalty into an efficient and prosperous unit, and we can date the beginning of the colonial era from this moment. This was a period of great wealth for the viceroyalty; Lima enjoyed a monopoly on trade with Spain and mining exploitation was at its height. However, during the 18th century the territory of the Viceroyalty of Peru was divided to create the territories of New Granada, with ist capital at Caracas, and Rio de la Plata, with its capital at Buenos Aires. The establishment of these new viceroyalties ended the monopoly on trade with Spain enjoyed by Lima and the Viceroyalty of Peru entered a period of deep crisis. Towards the end of the 18th century, a series of insurgencies began as a reaction to the mistreatment of the indigenous population by the Spanish. These movements were financed by wealthy individual of mixed race, whose finances had been affected by the economic crisis. The most significant of these movements occurred in Tinta (Cusco) grom 1780 to 1781 and was led by José Gabriel Condorcanqui, who became known as Tupac Amaru II. The Peruvian Creole oligarchy (descendants of the Spanish), were entirely comfortable with the power wielded from the Iberian Peninsula and never supported the insurgency movements, as occurred in Argentina, Venezuela, Colombia and Chile, where the wealthy mixed race classes financed the wars of independence. For that reason, Peru was the last country to be freed from Spanish rule and it was liberated by foreign fighters: Jose de San Martín was from Argentina, while Simón Bolívar was Venezuelan. It was José de San Martín who created the first Peruvian flag in 1819 (after disembarking at Paracas Bay) and who, on July 28th 1821, proclaimed the independence of Peru, which was finally sealed in 1824 after the battles of Junín and Ayacucho. With independence the struggle for power within Peruvian society began among the many private interests of the groups which had led the independence movement. In 1825, Upper Peru was divided and the Republic of Bolivia was created, and in 1879 the unfortunate War of the Pacific erupted between Chile and Peru, leading to the loss of large areas of territory, including some Peruvian cities. The war was motivated by the desire to control the potassium nitrate deposits in the Tarapacá region. Shortly before the outbreak of war, Peru had enjoyed a modest economic boom as a result of the exploitation of the guano deposit of its islands, but after the war the country was submerged in economic crisis. During the 20th century Peru was ruled by a succession of democratically elected and military governments, in a constantly shifting power struggle seen in most other South American republics during the same period. The first wave of migration from the Andes to the Pacific coast began at the beginning of the 20th century as a consequence of an influx of foreign capital and the modernization of the country, which led to demand for an abundant source of cheap labor. The middle of the 20 the century saw a crisis in the countryside. In the 1960s agricultural reform sought to take ownership of the land from the hands of a few wealthy hacienda owners and place it in the hands of those who worked the land. His reform led to a drop in agricultural production and the flight of foreign capital, which was also withdrawn in the wake of the nationalization of the oil industry and other mayor industries in the early 1970s. The year 1980 marked a return to democracy, but also the rise of terrorism in the form of the Shining Path and Revolutionary Tupac Amaru Movement guerrilla groups. These groups were defeated in the 1990s, but the conflict had left the country poorer than even and caused the death of more than 30,000 people. In 1992 constitutional rule was once again disrupted, only to be fully restored by elections in 2001. Unless you´re travelling overland through South America, you´ll need to fly to reach Peru. Although prices vary depending on the time of ear, how far in advance you buy and the type of ticket, the main airlines seem to hold fares fairly steady and tickets can easily be bought online. Outside of Christmas and to a lesser extent Easter, high season is roughly from late May to early October. You can sometimes cut costs by going through a specialist flight or travel agent, who, in addition to dealing with discounted flights, occasionally also offer special student and youth fares and a range of other travel-related services such as insurance, car rental, tours and the like. Most people arrive at Jorge Chavez airport in Lima there´s an airport hotel but it´s a fair distance to downtown areas of Lima – Miraflores, San Isidro, Barranco – or even the old Lima Centro. A taxi to downtown Lima takes 35 to 55 minute. With distances in Peru being so vast, many Peruvians and other travelers are increasingly flying to their destinations, as all Peruvian cities are within a two-hour flight of Lima. Most Peruvians, however, still get around the country by bus, a cheap way to travel with routes to almost everywhere. In a few cases, it´s possible to arrive by train – an interesting and sought-after experience itself – slower than the equivalent bus journeys. Peru has the typical range of Latin American accommodation, from top-class international hotels at prices to compare with any Western capital down to basic rooms or shared dorms in hostels. The biggest development over the last ten years has been the rise of the mid-range option, reflecting the growth of both domestic and international tourism. Camping is frequently possible, sometimes free and perfectly acceptable in most rural parts of Peru, though there are very few formal campsites. Peruvian cuisine is rated among the best in the world and is currently experiencing a period of flourishing self-confidence and great popularity overseas. The country´s chefs are adept at creating innovative new fusions with its fantastic wealth of food products, most of which are indigenous. As with almost every activity, the style and pattern of eating and drinking varies considerably between the three main regions of Peru. The food in each area, though it varies depending on the availability of different regional ingredients, is essentially a mestizo creation, combining indigenous cooking with four hundred years of European mostly Spanish influence. 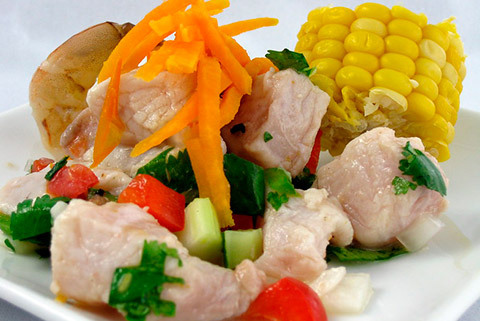 Guinea pig (cuy) is the traditional dish most associated with Peru, and you can find it in many parts of the country, especially in the mountain regions, where it is likely to be roasted in an oven and served with chips. It´s likely however, that you may encounter more burgers and pizza than guinea pig, given that fast food has spread quickly in Peru over the past two decades. Public holidays, Carnival and local fiestas are all big events in Peru, celebrated with an openness and gusto that gives them enormous appeal for visitors; note that everything shuts down, including banks, post offices, information offices, tourist sites and museums. The main national holidays take place over Easter, Christmas and during the month of October, in that order of importance. It is worth planning a little in advance to make sure that you don´t get caught out. In addition to the major regional and national celebrations, nearly every community has its own saint or patron figure to worship at town or village fiestas. These celebrations often mean a great deal to often mean a great deal to local people, and can be much more fun to visit than the larger country wide events. Processions, music, dancing in costumes and eating and drinking form the core activities of these parties. In some cases the villagers will enact symbolic dramas with Indians dressed up as Spanish colonists, wearing hideous blue-eyed masks with long hairy beards. 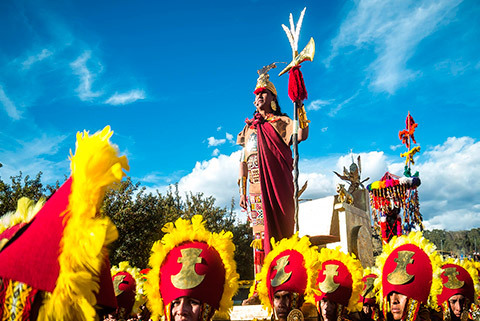 In the hills around towns like Huaraz and Cusco, especially, it´s quite common to stumble into a village fiesta, with its explosion of human energy and noise, bright colors, and a mixture of pagan and Catholic symbolism. Such celebrations are very much local affairs, and while the occasional traveler will almost certainly be welcomed with great warmth, none of these remote communities would want to be invaded by tourists waving cameras and expecting to be feasted for free. The dates given below are therefore only for established events that are already on the tourist map, and for those that take place all over the country. Few of the world´s countries can offer anything remotely as varied, rugged and stunningly beautiful as Peru when it comes to ecotourism, trekking, mountain biking and river rafting. 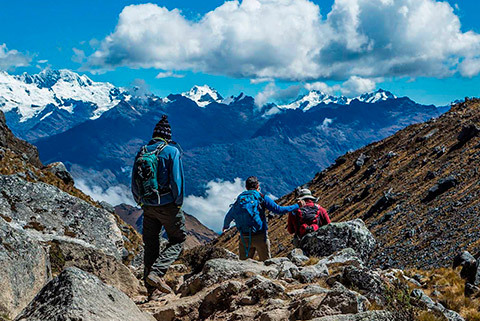 Apart from possessing extensive areas of wilderness, Peru has the highest tropical mountain range in the world, plus the Amazon rainforest and a long Pacific coastline, all offering different opportunities for outdoor activities and adventure. The most popular areas for trekking and climbing are north and south of Cusco; the Colca Canyon; and the Cordillera Blanca. But there are many other equally bio diverse and culturally rich trekking routes in other departments: Cajamarca and Chachapoyas both possess challenging but rewarding mountain trekking, and the desert coast, too, has exceptional and unique eco-niches that are most easily explored from. Lima, Trujillo, Chiclayo, Nazca, Pisco, Ica and Arequipa, where there is some tourism infrastructure to support visits. The main tours; treks and climbs have been listed throughout the Guide in their appropriate geographical context. Chapter Six, which includes Huaraz and the Cordillera Blanca, contains further information on climbing, mountaineering and trekking in the Andes, or Andinismo, as it´s long been known. The Cusco and Arequipa chapters also contain extensive listings of tour and trek operators as well as camping and climbing equipment rental. Peru is hard to beat for canoeing and whitewater rafting. The rivers around Cusco and the Colca Canyon, as well as Huaraz and neared to Lima, at Lunahuana, can be exciting and demanding though there are always sections ideal for beginners. 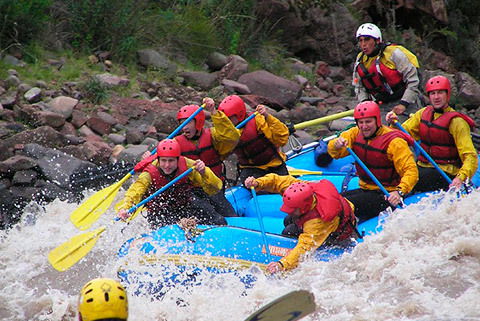 Cusco is one of the top rafting and canoeing centres in South America, with easy access to a whole range of river grades, from 2 to 5 on the Rio Urubamba (shifting up grades in the rainy season) to the most dangerous whitewater on the Rio Apurimac (level 6). On the Río Vilcanota, some 90km south of Cusco, at Chukikahuana, there´s a 5 km section of river that, between December and April, offers constant level – 5 rapids. One of the most amazing trips from Cusco goes right down into the Amazon Basin. It should be noted that these rivers can be very wild and the best canoeing spots are often very remote, so you should only attempt river running with reputable companies and knowledgeable local guides. 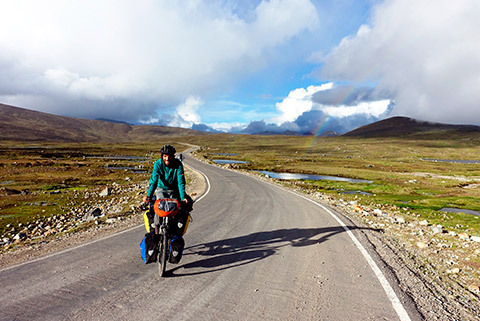 In Peru, cycling is a major national sport, as well as one of the most ubiquitous forms of transport available to all classes in towns and rural areas virtually everywhere. Consequently, there are bike shops and bicycle-repair workshops in all major cities and larger towns. Perhaps more importantly, a number of tour companies offer guided cycling tours which can be an excellent way to see the best of Peru. Huaraz and Cusco are both popular destinations for bikers. People have been surfing the waves off the coast of Peru for thousands of years and the traditional caballitos de totora (cigar-shaped ocean-going reed rafts) from the Huanchaco and Chiclayo beach areas of Peru are still used by fishermen who ride the surf daily. 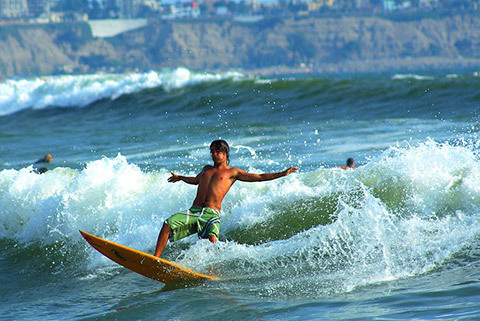 Every year around twelve thousand surfers come to Peru whose best beaches – Chicama, Cabo Blanco, Punta Rocas – rival those of Hawaii and Brazil Good Websites to find out more about the scene include. 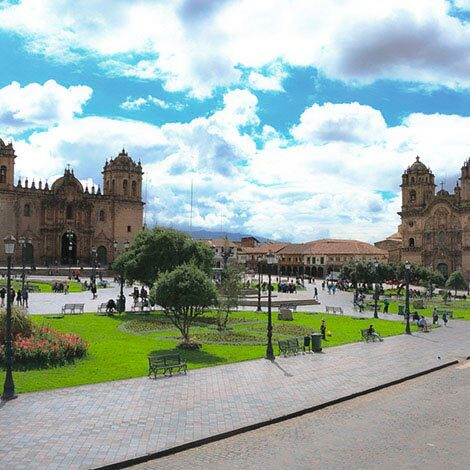 Cusco is a magic city, full of energy and attractions for tourism. 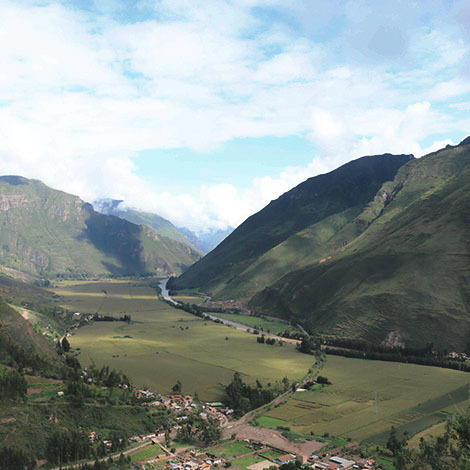 We offer complete information about Cusco in our travel guide. Machu Picchu is one of the wonders of the world, Located in Cusco Peru, is the most visited attraction, we offer information about this wonder for your trip. 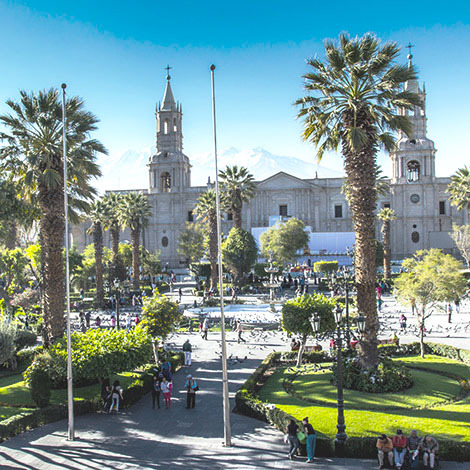 Arequipa Travel Guide will be a great travel resource to learn more about this tourist destination and explore the best attractions of the “White City”. 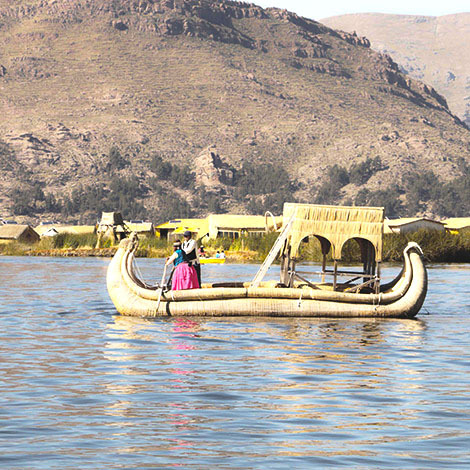 Useful information for your trip to Puno Peru, you will know more about the Titicaca Lake, the Uros Islands, and other attractions of this top destination. We offer you our Lima travel guide that includes interesting information about Lima, with maps, weather, activities, hotels and more. 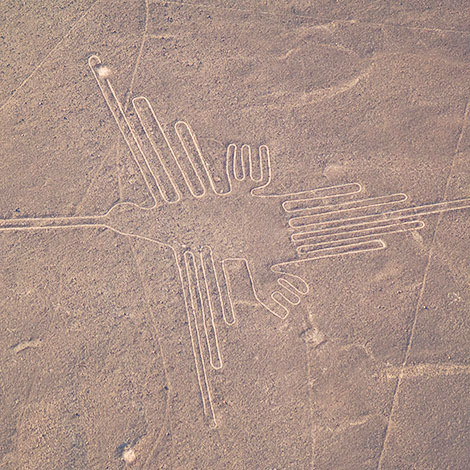 Nazca is a popular destination in Peru, its main attractions are the Nazca lines and its historical places that are quite visited for many tourists. 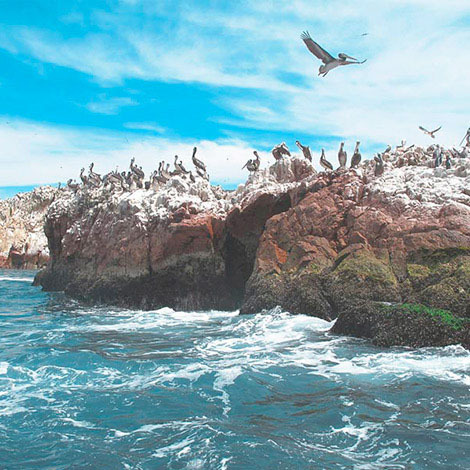 Paracas Travel Guide is a great resource of information to explore this coast town of Peru. Paracas has everything to enjoy your vacation. 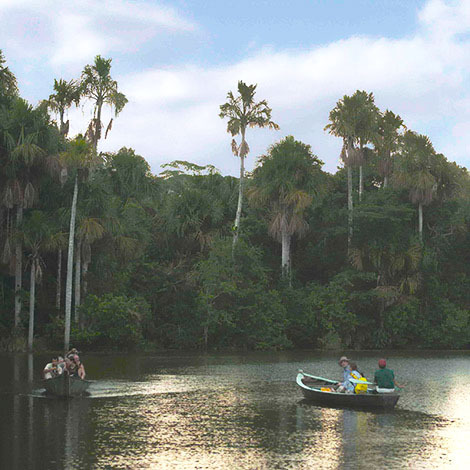 Puerto Maldonado Travel Guide shows this magical and typical peruvian jungle city and its main attractions like natural reserves and beautiful lodges. Tucked under the formidable foothills of the Andes Mountains is the beautiful Río Urubamba Valley, known as the Sacred Valley. 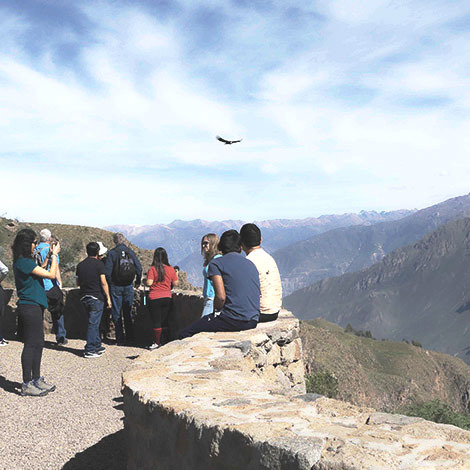 Just outside of Arequipa, you will find the magnificent Colca Canyon which you can tour and witness the amazing flight of condors’ flight. A trek for mysterious archaeological sites, amazing mountain scenery, lush cloud forests and a wide variety of Andean flora and fauna. 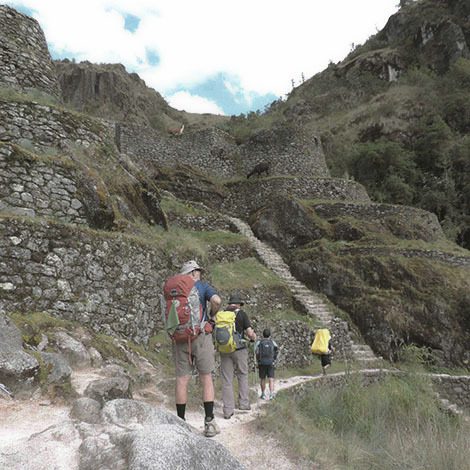 At the end you will arrive to Machu Picchu. 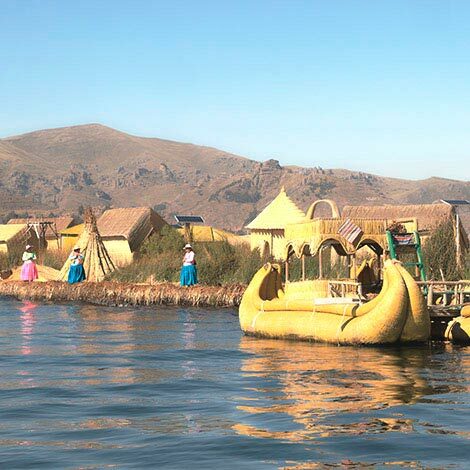 Lake Titicaca is famous around the world for being the world’s highest navigable lake, at over 3,800 metres above sea level, the lake can sometimes be mistaken for an ocean.